Portable Appliance Testing (PAT) is now avaiable at Hire Here. We offer a same day service ( where possible) from our certified onsite fitter. This testing is now required by the Safety, Health and Welfare at work Regulation 2007 and is especially important for the construction industry as the HSA carry out regular inspections. 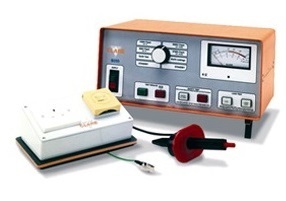 Any machine brought to us for repair can also be PAT tested for an extra charge, if it is required. The details of all machines are recorded and kept on file.